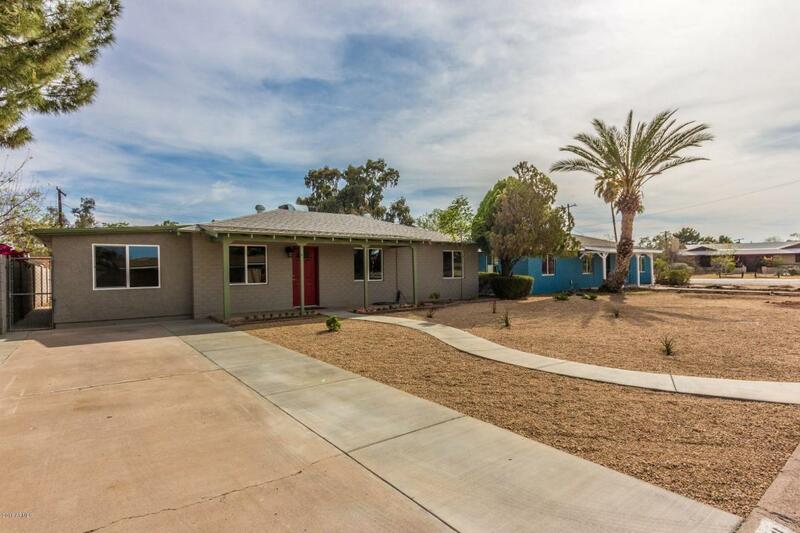 Check out this newly renovated home just a few blocks from desirable Encanto area. This 3 bedroom 2 bath home is everything you could want. New energy efficient windows, all new kitchen with stainless appliances, huge indoor laundry and pantry with barn door. Master Bedroom has double closets, double sinks and huge walk in shower. Additional features include 2 large bedrooms with walk in closets, new modern texture through out, dual pane windows, new doors, custom paint and all new flooring. The over sized backyard with RV gate is a spacious open canvas, awaiting your dream design. Add a garage or workshop, shed, pool, sport court or grass and gazebo. This one is sure to sell fast so come and see it today! The owners take pride in every home they remodel. Cross Street 19th Avenue And Indian School Rd.